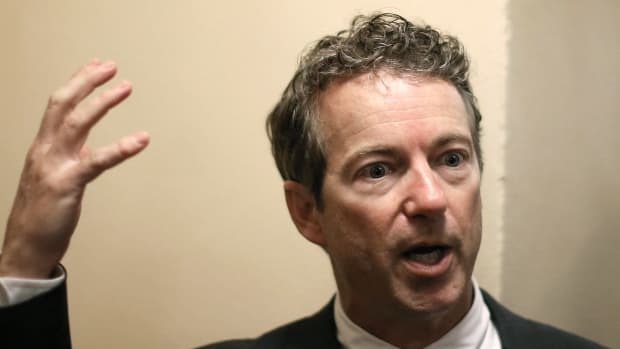 The first day of Rand Paul's campaign was a bloody mess. By most accounts, Sen. Ted Cruz&apos;s (R-TX) campaign had a difficult first week. In addition to being trolled by supporters of Sen. Rand Paul (R-KY), Cruz appeared on CNN the next day and announced he&apos;s signing up for a health insurance policy through Obamacare, then spent the rest of the week backpedaling and desperately explaining away his obvious hypocrisy. 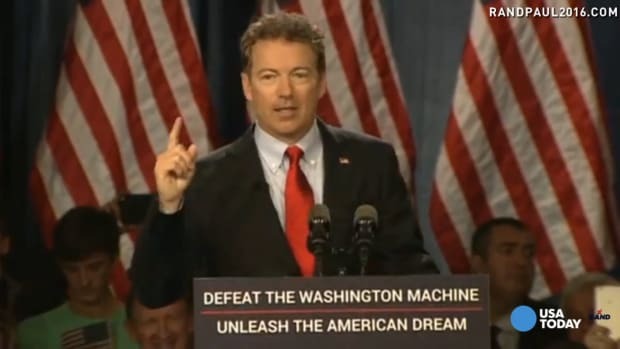 The first day of Rand Paul&apos;s campaign was far worse. 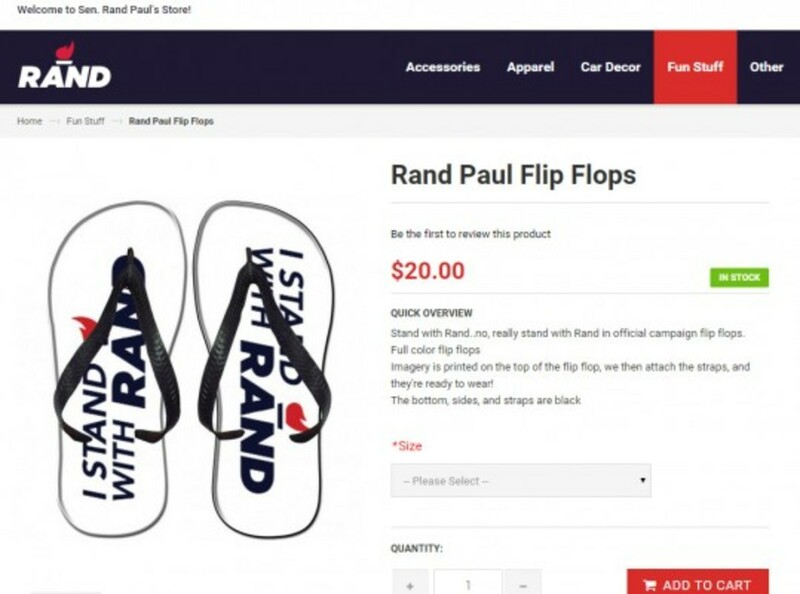 It actually began just before he announced when reporters stumbled onto his online store and discovered the candidate was selling "Rand Paul Flip Flops." Even if Rand Paul didn&apos;t have a well-documented problem with constantly shifting positions (we&apos;ll circle back to this), it&apos;s not a good idea for a presidential candidate to sell flip-flips, for obvious reasons. Waffles probably aren&apos;t a good idea either. But this was worse because the name of the product was also a noun-verb description of the candidate himself. If there&apos;s one issue area that demands very careful and thorough copy-editing, it&apos;s education. 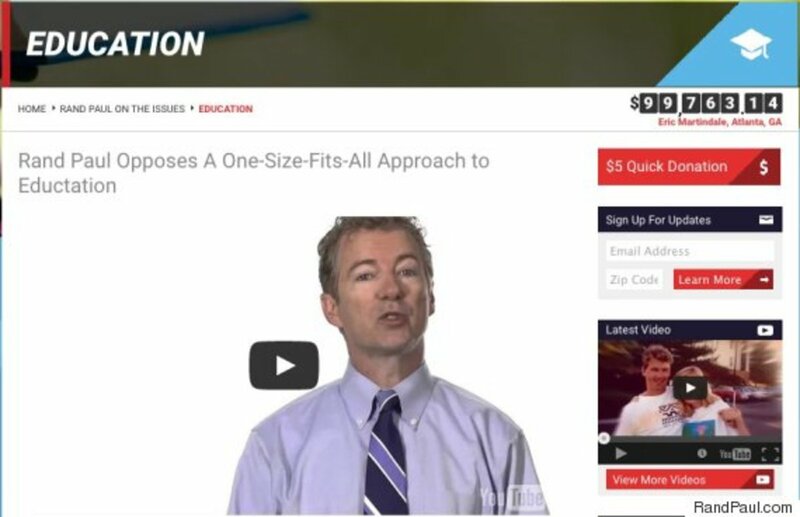 Unfortunately, the Rand Paul campaign website had a glaring misspelling in a headline about education and the word that was misspelled was "education" itself. Someone tossed an extra "t" in there. Seriously, of all the words to misspell, this might be the most embarrassing. I can understand a glitch like this buried deep down in a block of text, but the headline? Total fail. 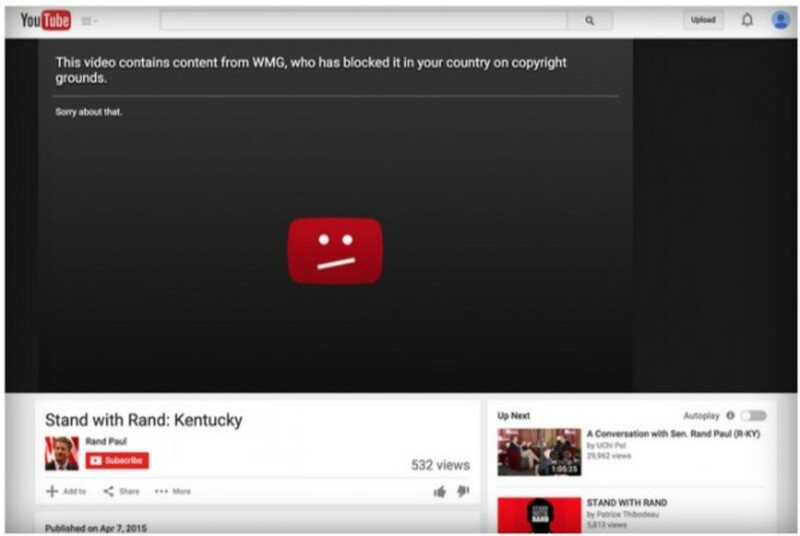 Shortly after the "eductation" debacle broke, we also learned that YouTube blocked the official video of Rand Paul&apos;s announcement speech for violating the site&apos;s copyright terms. Why? The speech featured excerpts from the country song "Shuttin&apos; Detroit Down" by John Rich. Now, it&apos;s unclear why Rand Paul used this particular track because on the surface it doesn&apos;t seem to have anything to do with running for president or any of his campaign themes. Regardless, the bots that scan YouTube videos for any terms of service violations red-flagged the song and automatically removed the video. Rand Paul&apos;s website also features a series of voter endorsements, marked on a map of the United States. Fine, but maybe the campaign should&apos;ve used actual photos of the endorsers instead of Shutterstock photos taken by Italian stock photographer Andrea Piacquadio. There&apos;s no word that the endorsements themselves are fake, but the photos are, so it&apos;s fair to wonder whether the quotes are fake as well. 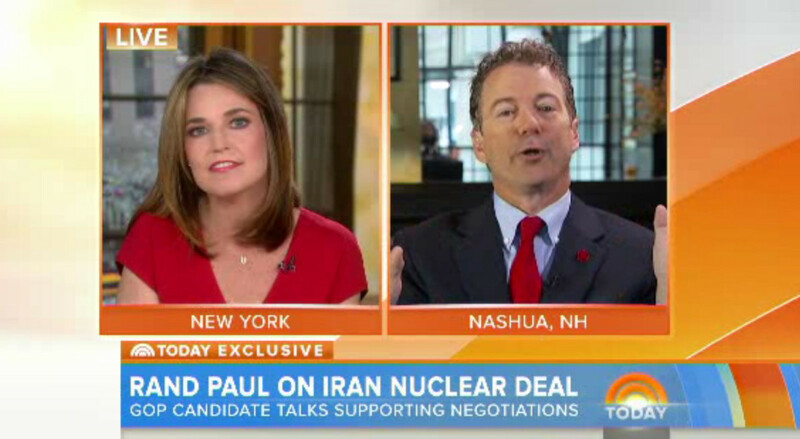 And finally, Rand Paul appeared on the TODAY show Wednesday morning where Savannah Guthrie confronted the flip-flopper about his, you know, flip-flops. Not the footwear on his website, his actual policy reversals. Guthrie asked the candidate about the Iran deal, then confronted him over his past reversals on the issue. 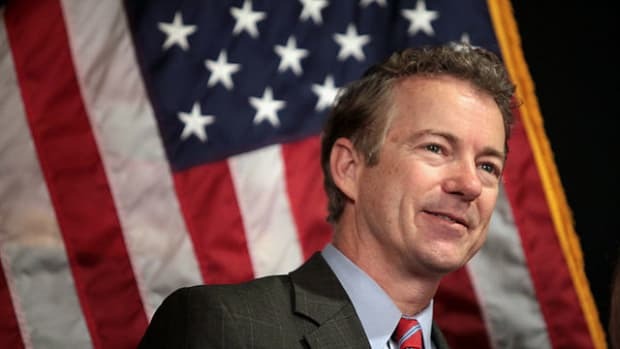 RAND PAUL: Is Iran still not a threat? 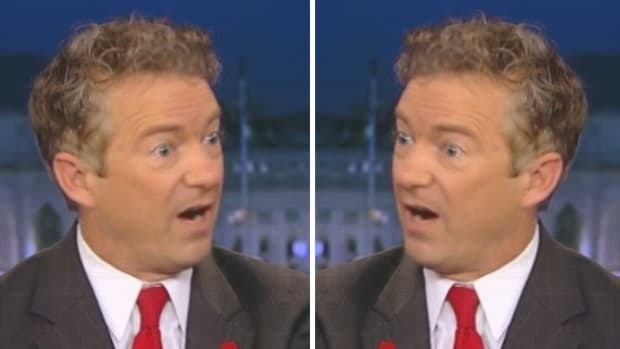 RAND PAUL: No, no, no, no, no, listen, you’ve editorialized. Let me answer a question. So, not only was Guthrie not interrupting him -- he interrupted her -- but then he refused to answer and accused Guthrie of editorializing when she really wasn&apos;t. Seriously, if he can&apos;t control himself in one six minute interview with Savannah Guthrie, he should probably just quit now because he&apos;s going to be asked about his flip-flops by interviewers who are considerably tougher than Guthrie. Oh, and by the way, is it me or does Rand Paul seem to have issues with female reporters? Remember when he shushed CNBC&apos;s Kelly Evans and told her to "calm down?" He also wasn&apos;t particularly pleasant to Rachel Maddow when he first ran for Senate. 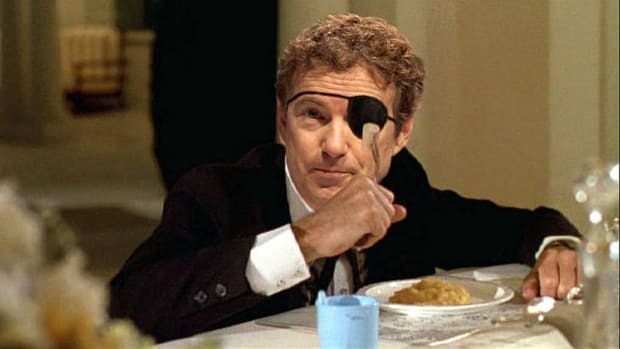 But anyway, this was Rand Paul&apos;s first 24 hours. A presidential campaign with this many glitches just out of the box is in a wee bit of trouble. 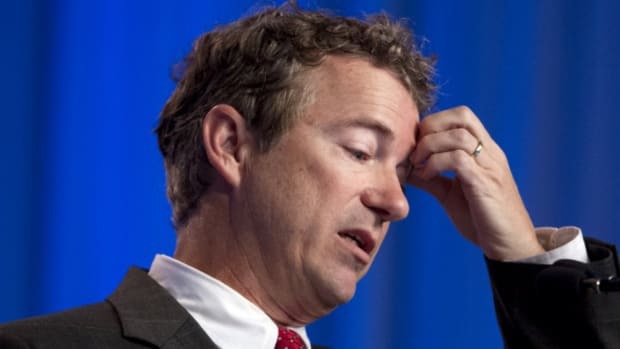 Maybe Rand Paul should&apos;ve eductated himself a little more on how to hire competent staffers and how to effectively roll out a presidential campaign.